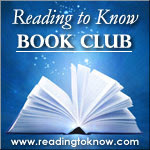 We're very near the end of the year and on one of our last book club reads, can you believe it?! 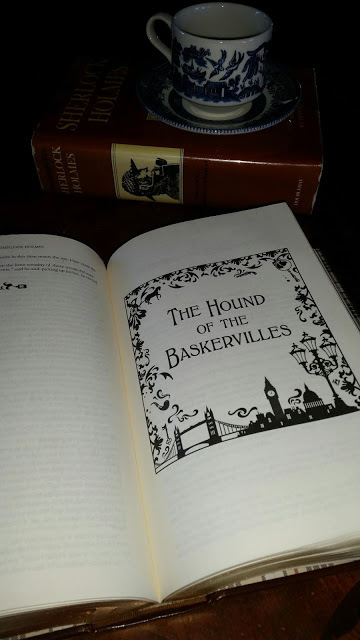 This month my friend Sky from Circus Caravan of My Thoughts on Things will be leading the discussion and she has selected The Hound of the Baskervilles , by Sir Arthur Conan Doyle for us to read. I always like the books she picks. She likes to go on adventures and so I'm looking forward to reading this title. Do you know those books, the ones that are time portals? They replace your current situation, the smells, space and surroundings with something completely alien to your existence and yet you feel perfectly at home. For me, Sherlock's world does that. He is one of those characters that I would recognize strolling down the street in my world. Like Gandalf, Samwise Gamgee, or Mr Tumnus, I would grab him by the arm, hit the nearest coffee shop and ply them with hot brew, scones and questions! I first read the Adventures of Sherlock Holmes the winter of '96. And since I was in the cold mountains of the North I always associate Sherlock with a biting cold outside and a warm tea inside. Sir Arthur Ignatius Conan Doyle, the author of Sherlock's stories, had problems getting his stories published at first and many of his early works were in serial magazines. Soon people realized how precious his writings were and would pay atrocious sums for the next Sherlock, resulting in him being one of the highest paid authors of his time. Yet he despised his hero and in November 1891 he wrote to his mother: "I think of slaying Holmes... and winding him up for good and all. He takes my mind from better things." In December 1893 he did kill Sherlock, without any intention of bringing him back, but the public outcry was so disruptive and intrusive on his life that he had to bring his hero back, much to his own chagrin! Since then, Sherlock has seen not the grave nor gathered dust on an unread bookshelf. He has surpassed time, technology and space. Unlike many Sherlock purists, I absolutely love the way he has been brought into this decade. In fact I think that the newer movies and shows are a better representation of Sherlock than the Basil Rathbone films, which I love as well. But we must remember that Sherlock was always doing strange and adventurous things to pursue his odd hobby of death and crime. He was a boxer, swordsman, pistol duelist, martial artist and forensic scientist. As we enter into this past world of Victorian England and meet the strange people of Dartmoor, dabble our toes in the supernatural, and shiver and sip tea, I hope that you feel a small transport in time. Let us know in the comment section if you'll be reading along with us this month! I'm in a mood for mysteries, so count me in! I've been enjoying some by Agatha Christie, and it will be fun to compare these classic mystery authors. I've been on a quest the last couple of years to read all of Doyle's Holmes book and finally finished earlier this year. 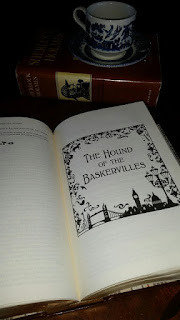 I just read Baskervilles last year, so I haven't decided whether or not I want to read it again so soon -- but as Carrie said, I have forgotten some of it, and it is not a long book, so I might. I do remember it being one of my favorites of the series. I like the way some of the modern versions of Holmes make Watson a much stronger character than some of the older films. Really looking forward to reading this one with you! It IS a super short read! I finished it in two sittings. Fun stuff! Creepy too. :) Review forthcoming (in a week or so).